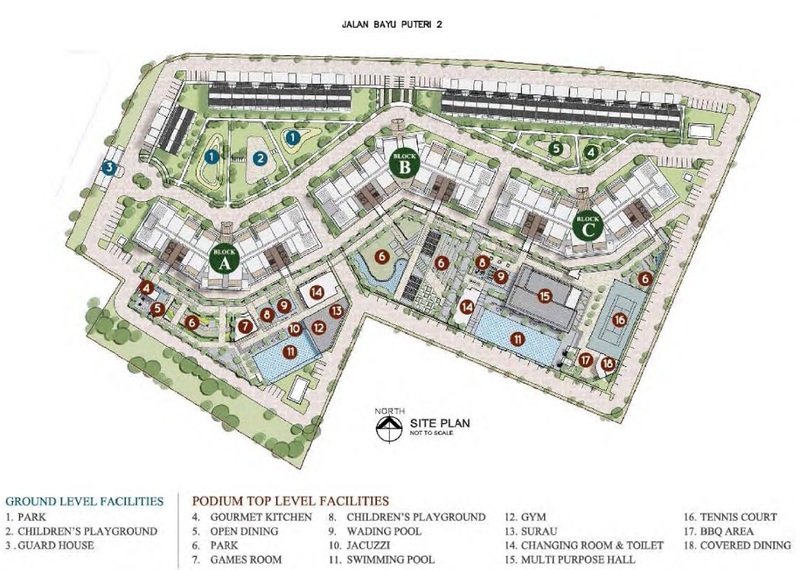 As the TEBRAU COAST realizes its potential as a truly international financial and cultural center, Botanika @ Tebrau Coast fulfils the demand of discerning international buyers who focus on the details that define quality of life; enhanced living space, integration with the natural environment and a home finished in pure bliss. 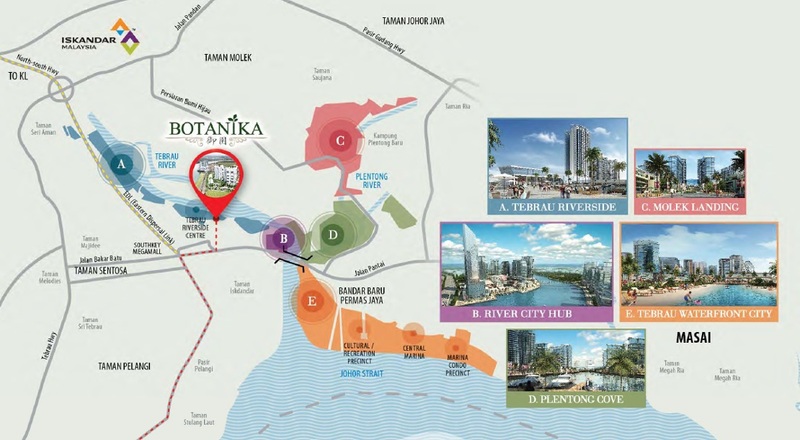 Most Affordable Botanika Iskandar WaterFront Luxury Condominium from only RM 6xxK/S$2xxk! Phase 1 FULLY SOLD within weeks! Phase 2 Launched. Register Your Interest NOW! 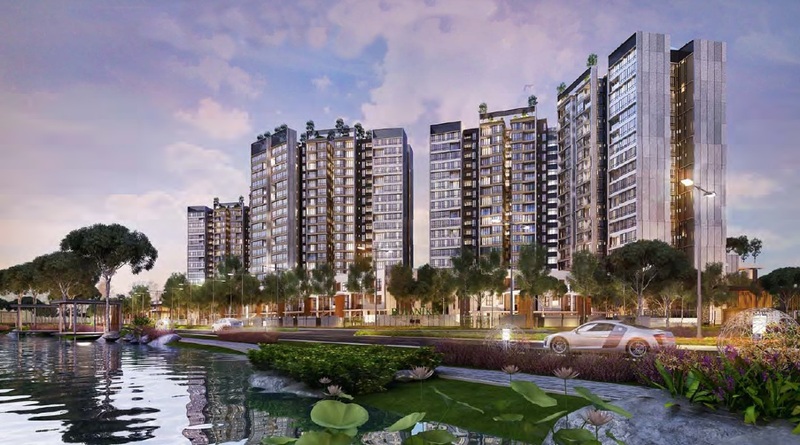 Presenting TEBRAU COAST, a prime waterfront development Masterplan along the Tebrau River and 5 mins from Singapore via EDL, comprising luxurious villas, waterfront recreation area. 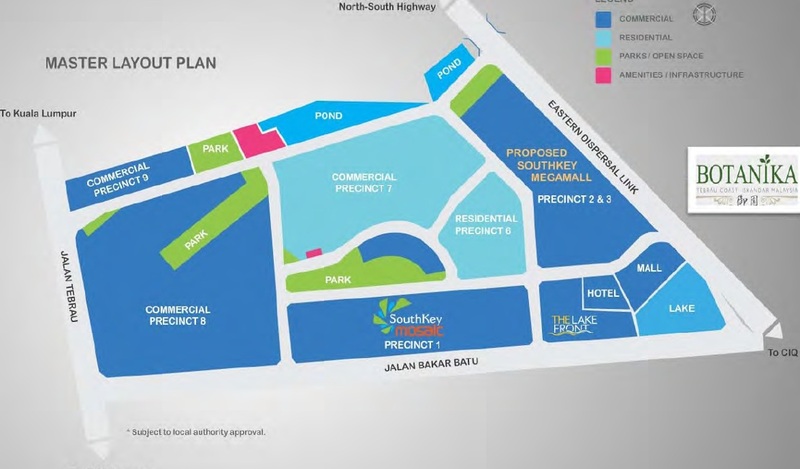 Tebrau Coast consists of 5 flaghship projects, namely Tebrau Riverside (A), River City Hub (B), Molek Landing (C), Plentong Cove (D) and Tebrau Waterfront City (E). Botanika is within distance to South Key Mega Mall. 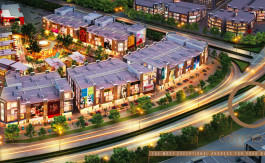 Mid-Valley Southkey Megamall in Iskandar, Johor, is a RM6 billion integrated project which is expected to be completed in late 2016. 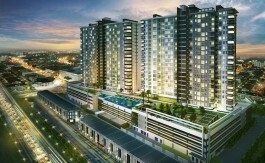 This development was launched by Southkey Megamall Sdn Bhd a 70:30 joint-venture between IGB Corp Bhd and Selia Pantai Sdn Bhd. 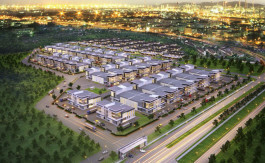 The project, which is also Johors single biggest integrated retail and commercial development, is sprawled over 14.57 hectares of land within the Southkey new township. To be developed over 12 years, the focal point of the development will be a megamall offering a net lettable area of 2.5 million sq.ft. which will be undertaken in two phases. Botanika provide you with a low density of only 70 units per Acre, with more than 6 acres of lush landscaping & greenery that come with different theme garden. Fix an appointment with us and we will share a snapshot of what have been happening in the property market. Property price movements. 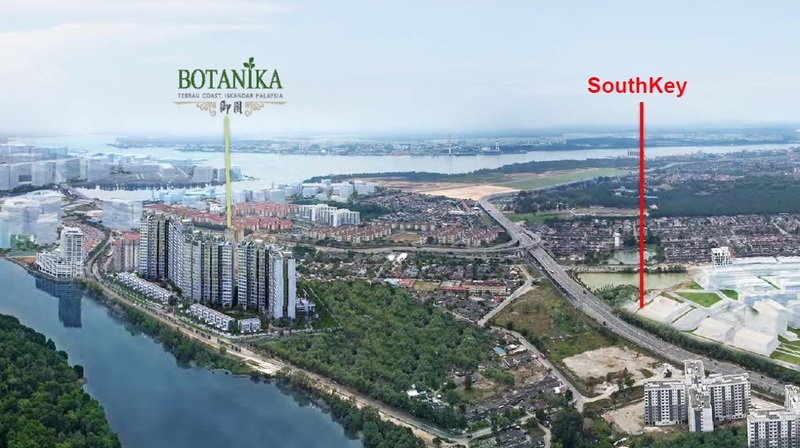 Botanika @ Tebrau Coast. Contact our Singapore Sales Office at +65 6100 6540 or contact us by filling up the form below.